Bonn, 2 May 2014 - The Collaborative Partnership on Sustainable Wildlife Management (CPW) held its third meeting in the margins of the General Assembly of the International Council for Game and Wildlife Conservation (CIC) in Milan, Italy on 23 and 24 April. The President of the CIC, Mr. Bernard Lozé announced that fighting wildlife crime and illegal wildlife trade was a strategic priority for the CIC. 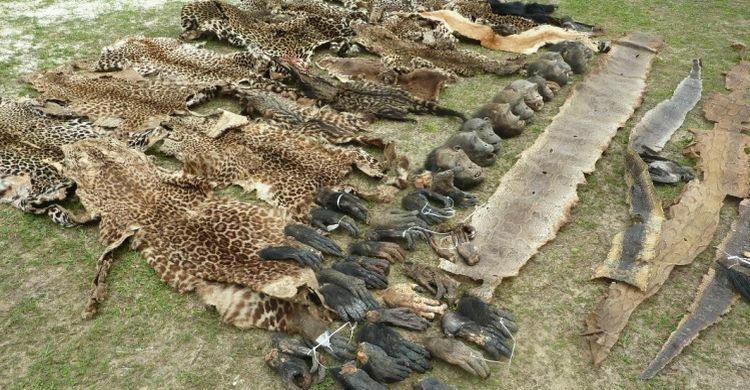 Further, he stated that CIC would build on the outcomes of the Global Summit – Hunters United against Wildlife Crime, in collaboration with CPW and other partners, in order to fulfil the hunters’ historical role as the foremost guardians and stewards of wildlife and habitats. The three core working areas of the CPW are: (i) wildlife, food security and livelihoods; (ii) human-wildlife conflict and (iii) legal/illegal hunting. In the meeting, concrete steps were agreed upon by CPW partners on the following topics of importance to wildlife management: development of the wildlife management terminology, proceeding with the compilation of a resource book on bushmeat, and a set of fact sheets on sustainable wildlife management. Further consolidation of the partnership was undertaken such as enhancing the website. The participants of the CPW meeting actively contributed to the discussions of the Global Summit “Hunters United against Wildlife Crime”, organized by the CIC as the part of the General Assembly meeting. The Global Summit recognized the devastating impact of unprecedented levels of wildlife crime, including illegal take and trafficking, on wildlife populations, precious ecosystems and our natural heritage. The Summit reiterated that well-regulated and sustainable wildlife use based on science and good governance has proven to be most effective, when the economic and cultural interests of local communities and indigenous peoples are met and their cooperation in wildlife conservation systems is ensured. The global hunting community was called upon at local, national and international levels to join forces with public, community and private partners as well as wildlife conservation organizations to arrest and reverse wildlife crime through evidence-based, pragmatic, timely and coordinated actions. The CPW members commend the efforts of the CIC to engage the global hunting community in the fight against wildlife crime and are ready to support the follow-up actions focusing on enhancing sustainable wildlife management.